In a statement that will gladden the hearts of our many local fly screen installers and swimming pool cleaners, Mojacar townhall has issued a list of ways that “local citizens can help reducing mosquitos”. Most of the pointers seem to be about installing fly screens and keeping your swimming pool / fuente clean. As usual, Lokimica SA has won the contract to spray the area with a larvicide to kill off the mosquito larvae. They will shortly be flying around in their helicopter and their 4×4, spraying out clouds of the stuff. However, before we get too excited, Mojacar has only paid for 1,000 litres of larvicide, according to La Voz – in 2008, it seems they paid for around 3,500 litres. (Clever stuff, only kills off mosquito larvae it seems). So, despite the fact that it’s been the wettest winter for years and now it’s quickly warming up (ideal mosquito conditions) the townhall has cut back, heavily, on the spraying. What, don’t mosquitos breed in a recession? If you want to save cash, how about getting rid of one or two of the 198 people (allegedly) working at the townhall? 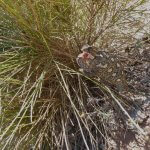 This entry was posted in Blog and tagged mojacar, mojacare, mosquito by David. Bookmark the permalink. We were staying Puerto Marina in June and the flies were awful, after reading your Fly campaign wondered if this would be of any help. We noticed every day an unmarked tanker arrived on the waste ground opposit the hotel, beach side, in front of the billboard and deposited its load down a man hole, have no idea what it was and where it went to, but it was every day, we were ther 2weeks 3 days. Next → Next post: Luis Caparros (Mr Bulldozer) gets a promotion!